Gentle nighttime treatment for dry and sensitive skin repairs sun damage and resurfaces skin as you sleep. This treatment strengthens the skin's immune system and helps to combat free radical damage with ARCONA's high-powered antioxidant complex. Stimulates rapid cell renewal and deep exfoliation. Decongests microcomedones to refine pores, smooth and clear skin. Nourishes skin leaving it healthy and glowing. Use 2-4 times a week: Apply after cleansing to face, neck and décolleté with upward and outward circular motions. I love all of the Arcona products, but my favorite combo is gentle solution with any of the grommages.... transformative!! This is a can't live without product. I love just about all Arcona products, but this is by far the best in my opinion. I recommend it to all of my friends. I use it every other night, and it works like magic to even and smooth out your skin. If there are any little blemishes beginning to surface, they are completely gone by the morning when this is applied. It's pretty amazing. Highly recommend. use 4 nights a week, glides on your skin and adds moisture as well, a little eye cream and you are set. Just like its name it is very gentle not harsh like a scrub, alternated with magic white ice & moisturizer at night this has evened out my skin tone and made my skin soft. Don't forget the sunscreen!Love ARCONA products especially my new find the Kiwi cleansing bar. Products are all natural, wish I had known about them years ago. the best instant pore minimizer! I have come to "live" with clogged pores on my nose/chin...until I started using this product! It literally works right after using and the results are long-lasting! Even my cosmetologist said that he saw a difference and had a harder time giving me my last facial because of it! Smooth, non-greasy...just a lithe goes a long way....HIGHLY recommend this as THE best pore minimizer ever!! My skin seems to always be changing based on the weather and what's going on with me internally based on what I eat/supplements I take as well as hormones, so I alternate the Gentle Solution with The Solution based on how oily my skin is at the time. The Gentle Solution is not as drying and goes on a bit heavier, but always leaves my skin glowing the next day. I rotate the solutions with the Vitamin A Complex and Night Breeze, and all of those really seem to decrease lines/wrinkles, hyperpigmentation, and promote overall clarity in my skin. Would never be without! 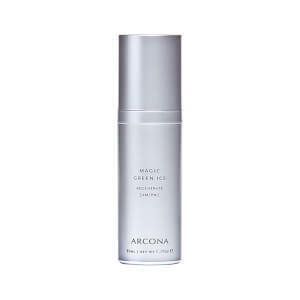 I use Gentle Solution in conjunction with the other recommended Arcona products and have seen a pronounced improvement in my skin's appearance. With continued use, I have much clearer and smoother skin. 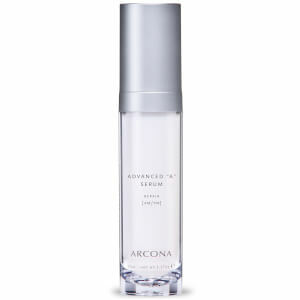 I highly recommend this product as well as any other Arcona products. I was using 'The Solution' at night during the summer but now that it is getting cooler the Gentle Solution fits the bill. It is more of a gel than a liquid but is still effective and less drying. My skin looks clearer in the morning and all those nasty under-the-skin bumps have diminished or totally disappeared. I cannot believe how one or two little pumps of product can make such an impact!